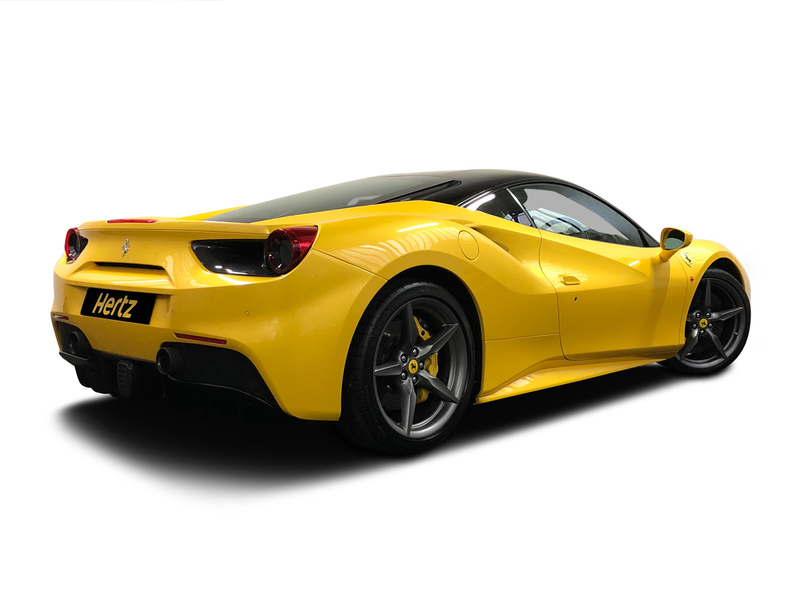 For those seeking the very best in performance and pedigree the 488 GTB name marks a return to the classic Ferrari model designation with figures 488 indicating the engine's power displacement, and GTB standing for Gran Turismo Berlinetta. 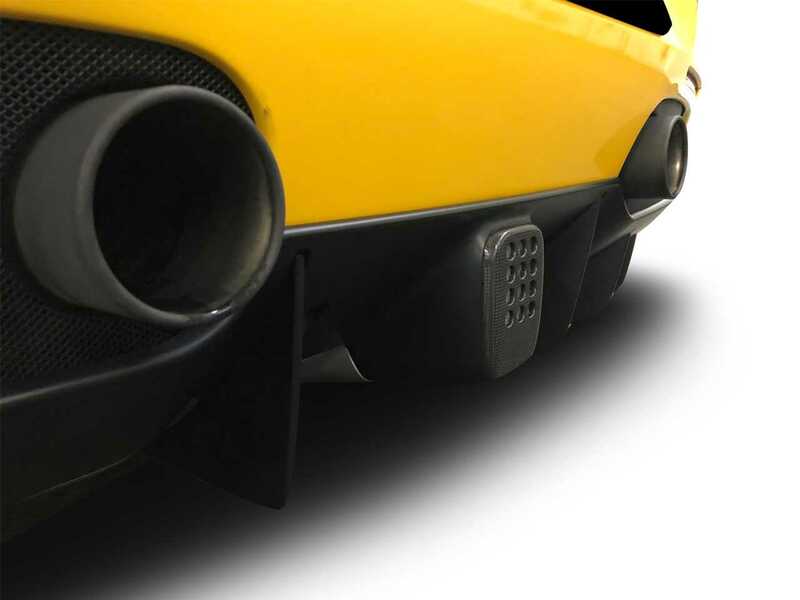 Creating a car that delivers unrivalled power with performance, it is also comfortable and controllable to an unprecedented level for less expert drivers. 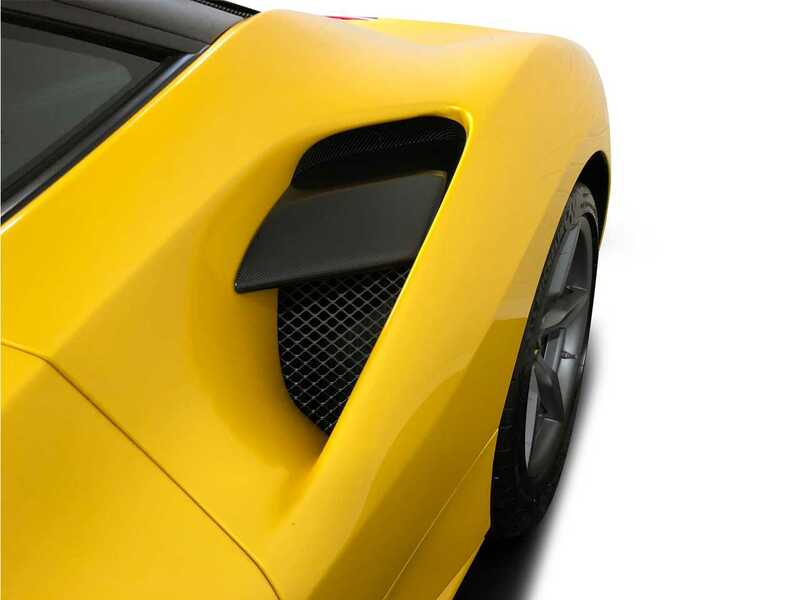 The 488's body is beautifully sculptured having been designed in Ferrari's factory studio to either reduce drag or to create downforce, and in doing so it not only look stunning but has a form that follows function. 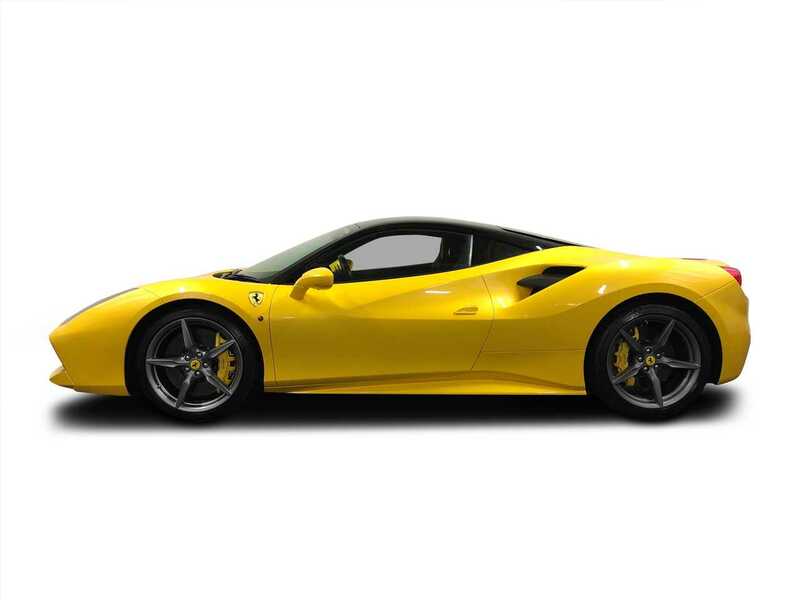 The 488 GTB's overall performance and the nature in which the car delivers it is very special indeed. 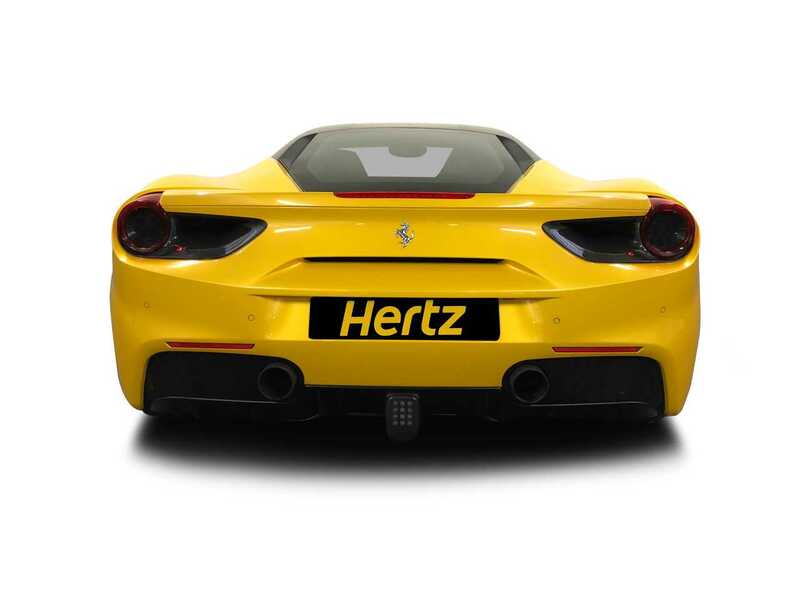 The engine V8 Twin Turbocharged engine produces 661bhp feeding through a Getrag seven-speed dual-clutch automatic gearbox and providing a 0-60 mph time of just 3 seconds!! and then onto a top speed of 205 mph. 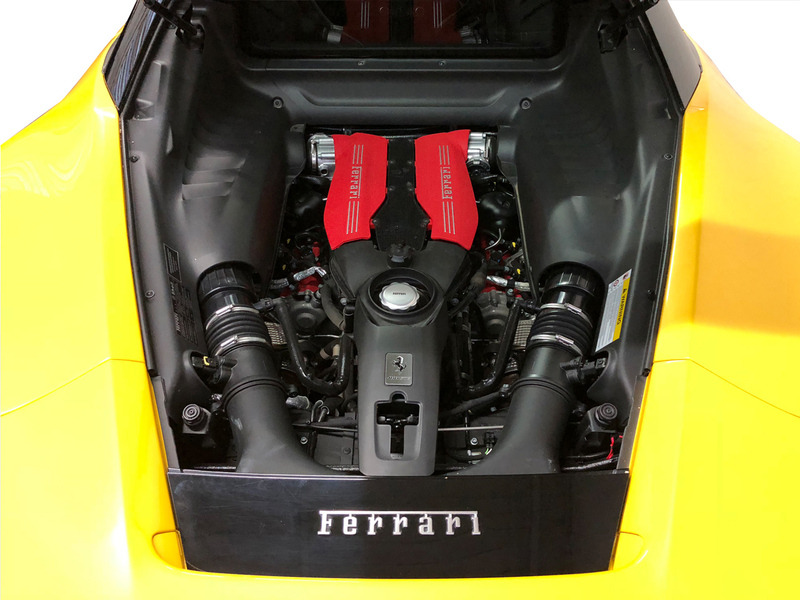 As the roof slopes away toward the rear a clear window showcases the mid placed engine in all its Ferrari red highlighted glory. 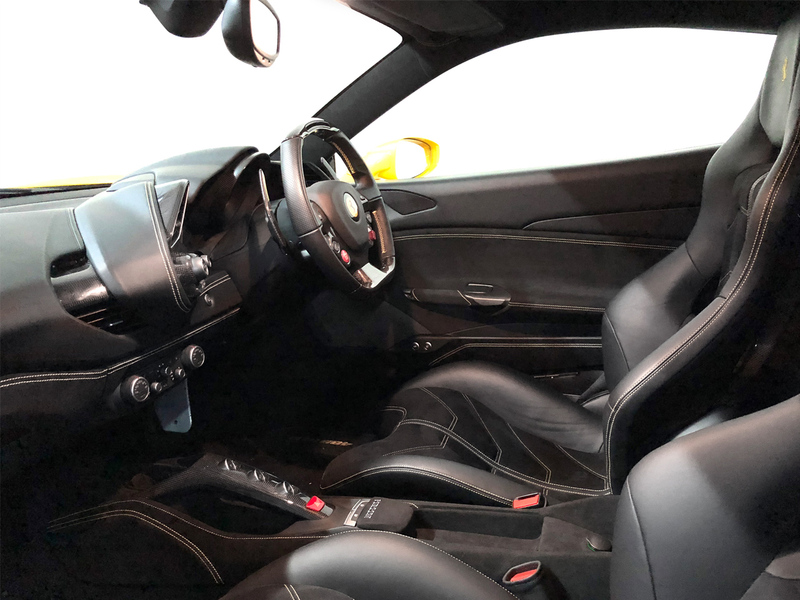 Step into the pilots sports seat and find an interior that is appealingly designed with appropriate Ferrari flamboyance created with fine materials and finished beautifully. On the steering wheel, and easily to hand, are driving mode adjustment, start/stop button, indicator, wipers and main beam levers, and behind the wheel sit two infotainment pods, one to either side. There is Bluetooth connectivity and sat-nav. 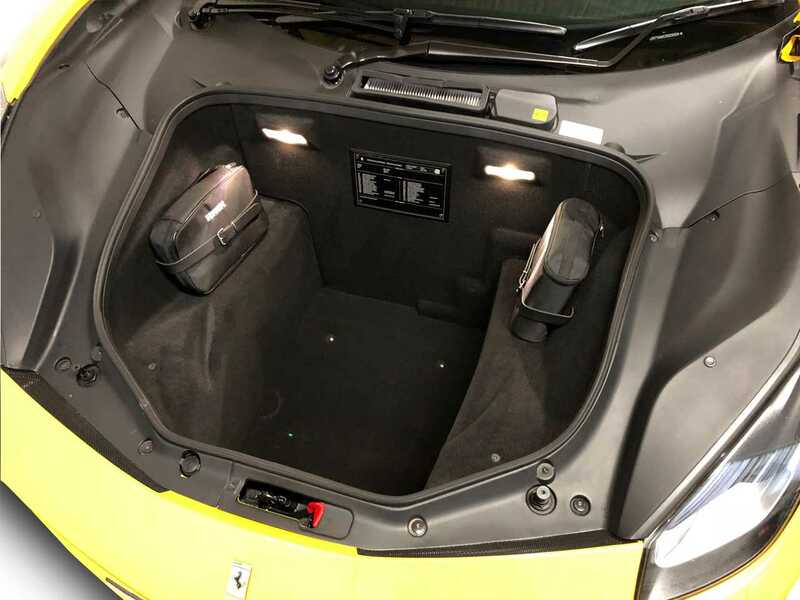 Although a Supercar the boot at the front is of a generous size and inside the glovebox, door cubbies and cup-holders make the 488 as practical as you would hope it to be for a Grand Tourer. 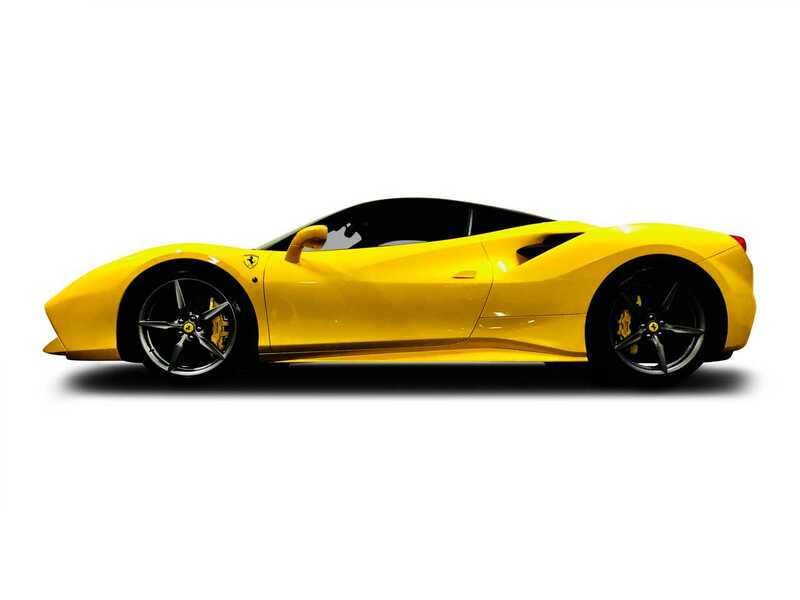 When the 488 was launched to the world's press it was agreed by many that Ferrari had created what is undoubtedly today's greatest supercar. 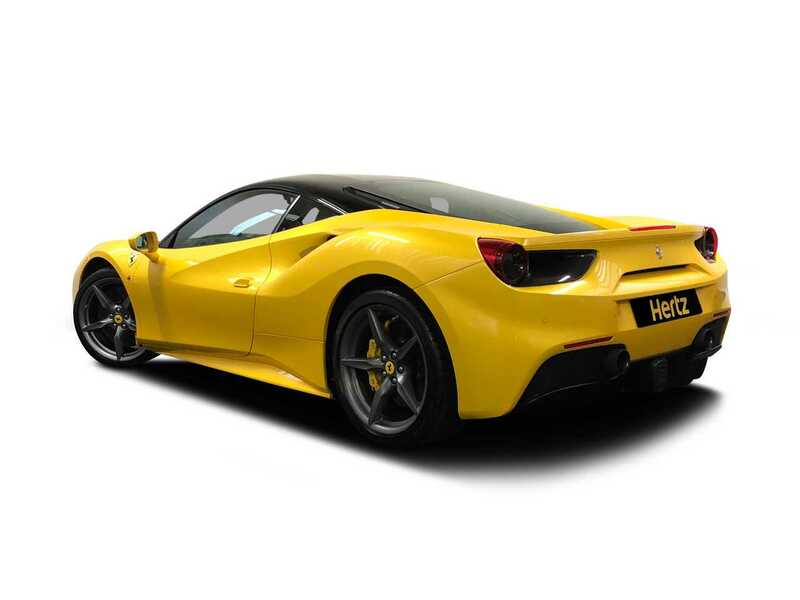 Even those testers who think modern supercars are often too fast and too aloof to be enjoyable on the road admitted after driving the 488 that, if their numbers came up they would undoubtedly have one. 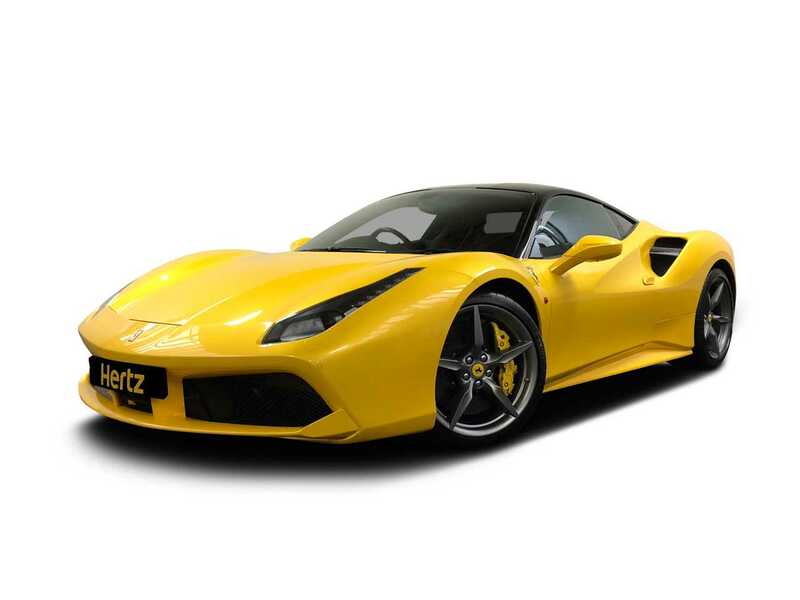 The Ferrari 488 would set you back well in excess of £200,000 to buy. 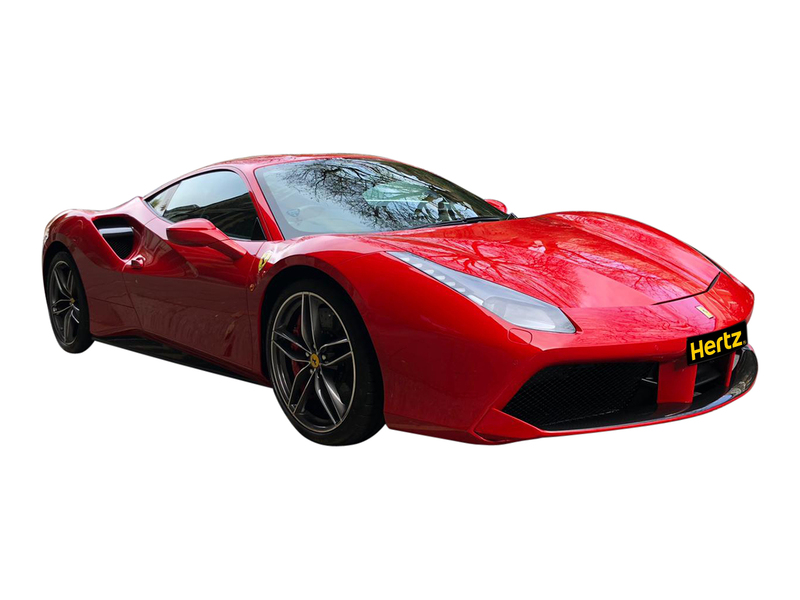 The Dream Collection has this remarkable car for you to hire and enjoy a much more affordable daily rate. Call us now! 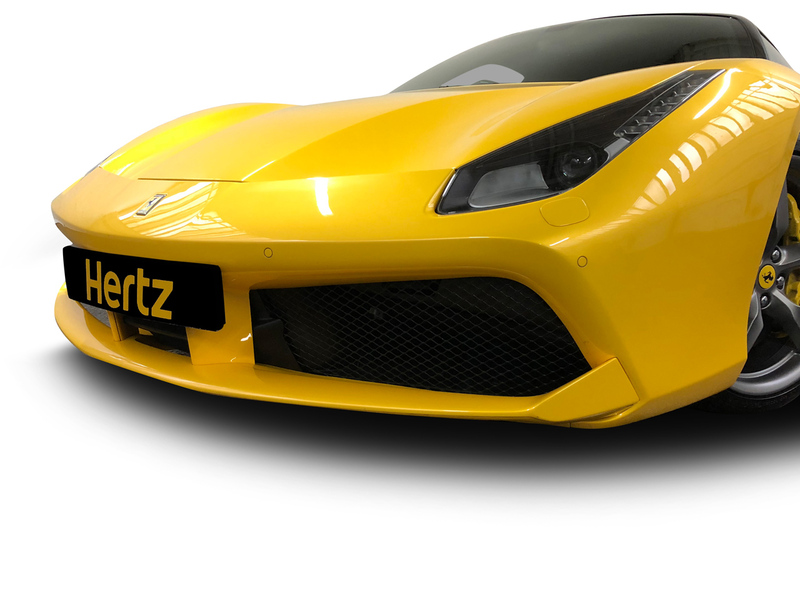 Ferrari is indeed the world's number one aspirational brand and due to this, its branded merchandise notches up sales of over $1.5 Billion every year. 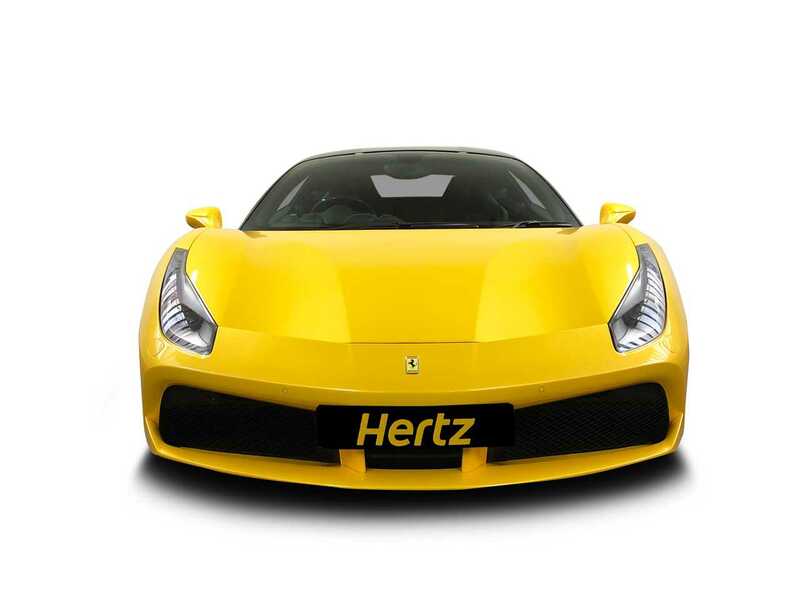 Even if you cannot afford a Ferrari car you can at least buy products that will associate yourself with all it stands for. Ferraris finished in Scarlet makes up 57% of sales. 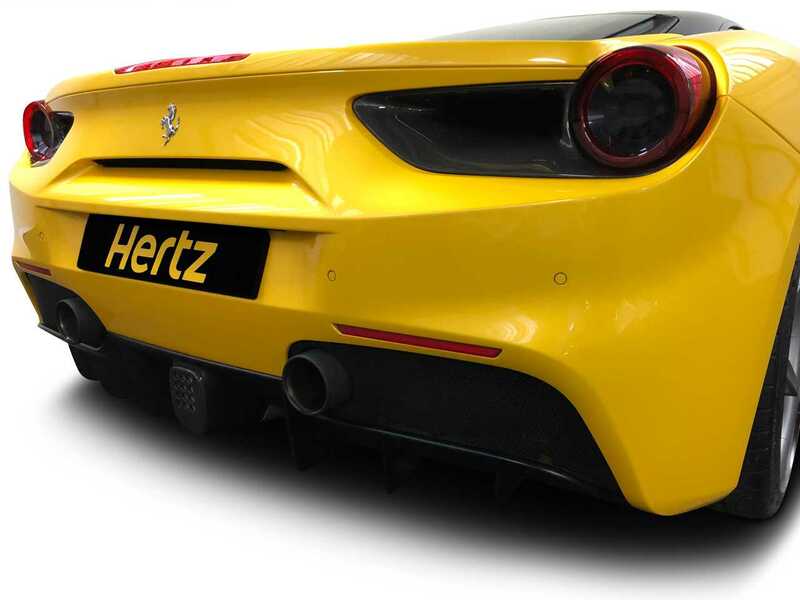 To be the colour that represents Ferrari, red was never Enzo's decision, it was the colour that the Italian Automotive Federation assigned to ALL Italian race cars and this was the colour that purchasers chose for their road-going Ferraris.